Ash dieback disease – do you know what to look for? I noticed that the buds of the hawthorn at the back of my garden are starting to break – always an early starter but a good omen of spring just around the corner. With the return of the leaves to the trees, now is a good time to familiarise yourself with the symptoms of ash dieback ready for the spring as it could well be that 2013 is the year that this disease is really going to take hold in the UK. With so many trees in so many locations across the country, the best chance for monitoring the spread is for people who walk, work and live in the countryside to be vigilant. There are a number of locations in East Anglia where the disease is confirmed which makes the risk of cases around Grantham a real possibility. 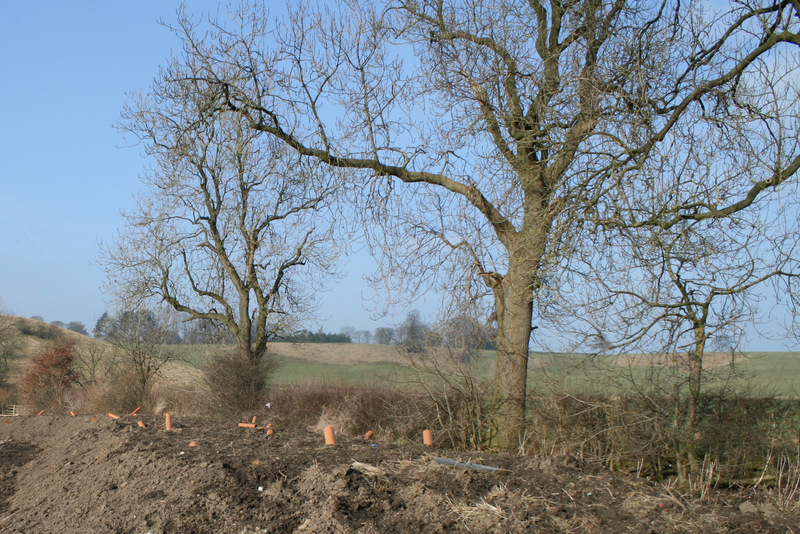 Ash is a widespread species in the UK – as an ecological surveyor I have been to many sites in the east midlands and beyond and it is very rare that any broad leaf woodland doesn’t have a component of ash – it is the third most common UK tree species. Ash is the first species I learnt to ID in the winter as it really is so distinctive, the buds are jet black and triangular in shape. The bark is smooth and ash (!) gray in colour. The leaves are pinnate – that is the leaflets come off a central stem in pairs. Ash whips within grassland – note the black buds! You come across large impressive old trees within hedgerows and older woodlands, they also have a strong presence within secondary woodlands where they can be the dominant tree – there are some good examples of this type of woodland just down the road in Oakham. You can also come across them invading fields in the first wave of succession from grassland to woodland, here they grow as single stems, “whips”, a very appropriate name if one snaps back and cracks you across the leg! It is therefore quite diverse tree – they can be a constituent of a climax community, they grow quickly enough to gain dominance within a woodland after only 50 years or so, but they can also be the first woody species to stake its claim on a woodland-to-be. Ash trees are prevalent in and around Grantham, older specimens can be found in Belton House and around the town close to the river, whilst newer specimens form part of the planting at the Woodland Trust’s Londonthorpe Woods. Chalara fraxinea (the second part of the latin relating to the ash genus – Fraxinus) is the fungus which causes ash dieback. It is thought to have come from nursery stock brought across from the Netherlands, a location which instantly brings to mind the Dutch elm disease which decimated the English elm in the middle of the last century. It spreads by spores which are tiny airborne particles which means that it is easily spread by the wind within a certain radius, up to around 10 miles. Over longer distances, it is thought that the movement of diseased material such as nursery trees is likely to be the main cause which is why import and movement was banned in the UK at the end of October in 2012. The disease can be detected even now, in the winter and spring, but becomes more obvious when the trees come out of dormancy and the leaves are in evidence. The Forestry Commission has a very thorough guide on how to recognise which I would urge everybody to read so that you know the symptoms. There are other diseases, pathogens, fungi and environmental impacts which can cause an ash tree to be in poor condition – this guide should help you to spot the distinctive signs of this particular disease. The Dutch Elm epidemic in the 1970’s did not kill every elm tree and a small number still stand around the country – only a tiny fraction. It is assumed that these trees have immunity to the disease and, on this basis, The Conservation Foundation has begun a project of collecting cuttings from these trees, propagating them and distributing them to schools and other locations all around the country. This was begun in 2009 so it is too soon yet to know whether this is to be a success but, because the cutting method ensures that the derived seedlings are clones of the original tree, there is every reason to think it will be and hopefully, one day, English elm will be a common sight in our countryside once more. Based on the existence of some similarly disease resistant trees in Denmark, there is a NERC funded project currently under way to sequence the ash genome and try to identify the genetic basis for immunity. This would put us in a position where the lost ash trees (and it is almost inevitable that at least a proportion will be lost) can be replaced with disease resistant trees. The strong hope is that these resistant trees will be identified in the UK so that any replacement planting programme will not require stock from abroad but will remain of British origin. The brown hairstreak is a butterfly which uses ash trees as ‘master trees’ where the males and females gather to mate before the females descend down lower to lay their eggs on the larval foodplant, blackthorn. They are one of the species which might be impacted if chalara has a serious detrimental impact on the UK ash population. Last Sunday was one of those beautiful days when everybody feels spring is just around the corner. The garden was filled with birdsong and sunshine, neighbours decided it was finally time to venture out and sweep those autumn leaves, daffodil bulbs bulged yellow at their tips where flowers are just waiting to appear. What better day to descend into a sealed up tunnel, feeling the temperature drop steadily on a headlamp-lit thermometer, to search for hibernating bats!? Along with another member of the Lincolnshire Bat Group, we gallantly left the sunlight behind to see what we could find. 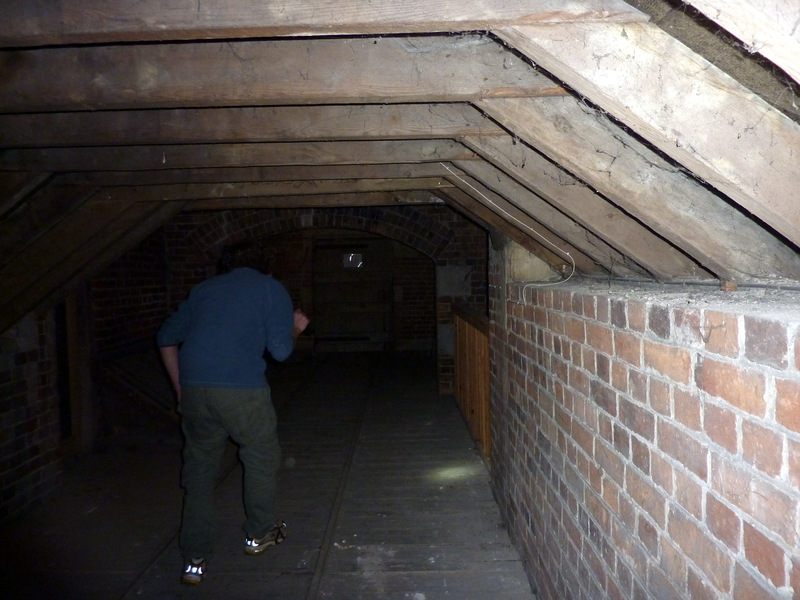 In the past we have come across hibernating barbastelle bats, a rare species in the UK and here, at almost the northerly limit of their range, but sadly this time they were absent from the deep cracks which staircase down the brickwork where the tunnel curves. 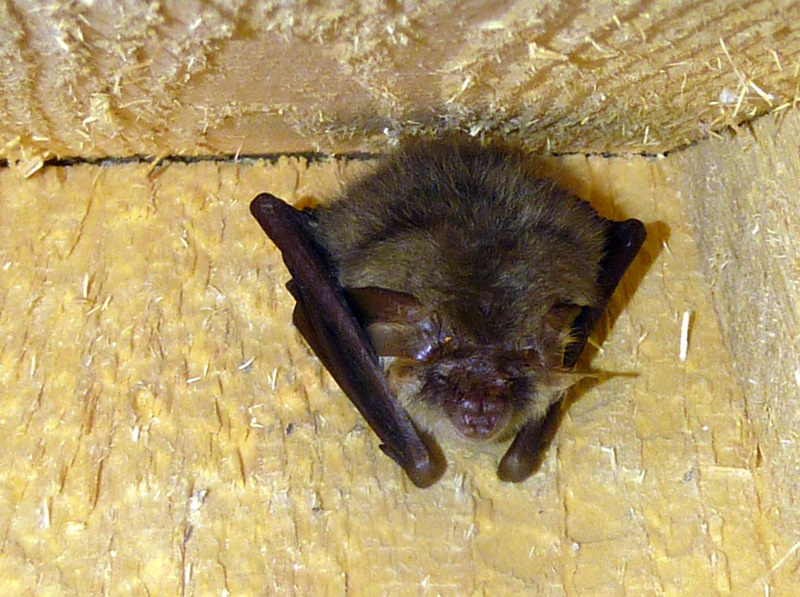 Several years ago the Bat Group put up boxes in the tunnel, to provide a greater range of roosting opportunities and in here we did find some bats – two boxes had brown long-eared bats sleeping soundly inside, their long ears tucked behind their wings with only the tragus – the fleshy projection within the ears – apparent. Only one of these bats was present during the January survey which means that some time in the last month, the other has flown and found this as a new place to enter torpor. This is not uncommon, bats will rouse during warmer winter weather and will often feed briefly before returning to their torpid state. Along with the bats were around 60-70 peacock butterflies, all with their wings tightly closed and apparently oblivious to our torchlight as we passed by, careful not to disturb them. 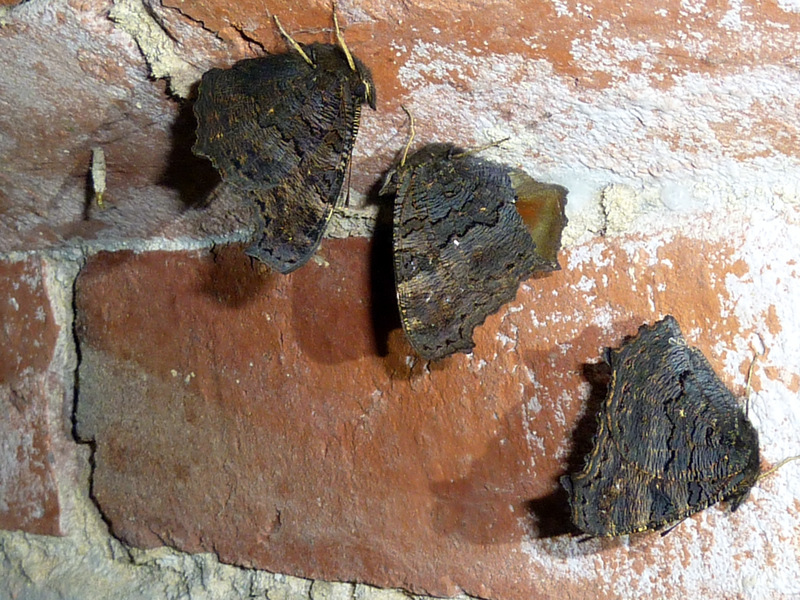 Many had damaged pieces of wing from last year – the first butterflies of the year are often tattered old veteran tortoiseshells, peacocks and brimstones. 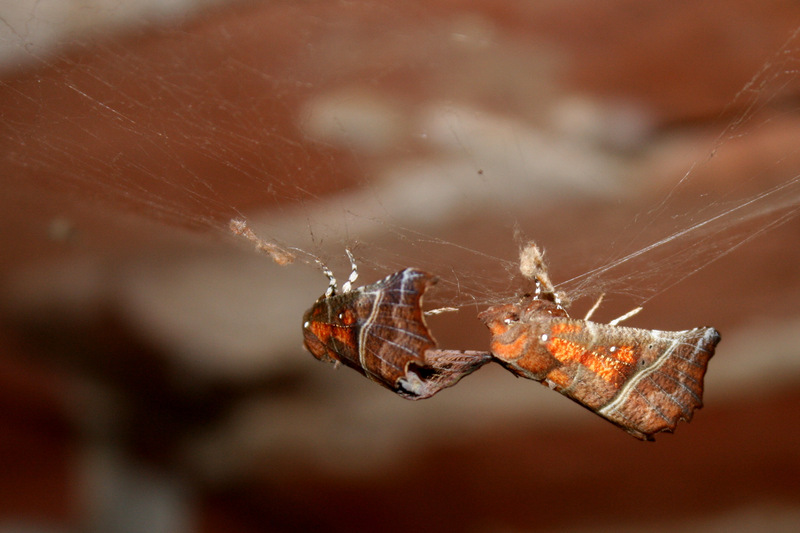 A number of herald moths were also present, including the pair pictured below who appeared to be hibernating upon a spiders web! I would love to hear any feedback on this interpretation – I do not think they have fallen prey to the spider as this same pair were present last September when I checked the boxes were ready for the winter and are apparently still alive and well! They will take flight when the weather warms, sometime between March and May. If you are interested in joining the local bat group, visit their webpage for details – there are events throughout the year that you can take part in. For details of your local group if you are outside of Lincolnshire, the BCT webpage has all the info. Goosanders (Mergus merganser) are an impressive looking diving duck whose summer habitat is upland rivers usually found further north than Grantham. Like the waxwings and the short-eared owls featured in January’s posts, this is another winter visitor to the area and makes a welcome addition to the local fauna at this otherwise dull time of year. Whilst goosanders do move from their upland habitats in the winter, it is likely that this small flock have moved further, many migrate from the colder climates of Scandinavia. For the last few years, there has been a small flock which arrive at the relatively peaceful lake on the drive to Harlaxton Manor – a private drive which the University of Evansville kindly allow access for walkers. I have sadly failed, repeatedly, to get a good photograph of them because they are absent, or at the wrong end, or the light is awful or the battery dies, so please do excuse the rather poor quality below. They show strong sexual dimorphism, that is the males and females look different. In this image, the white birds are the males whilst the more dowdy bird with the brown head is the female. If the photograph was better, you might be able to see the serrated bill which is used for catching and gripping the fish they prey upon – this is a definitive characteristic of the ‘sawbill’ family to which they belong. I counted ten on the lake today – 7 males and 3 females. 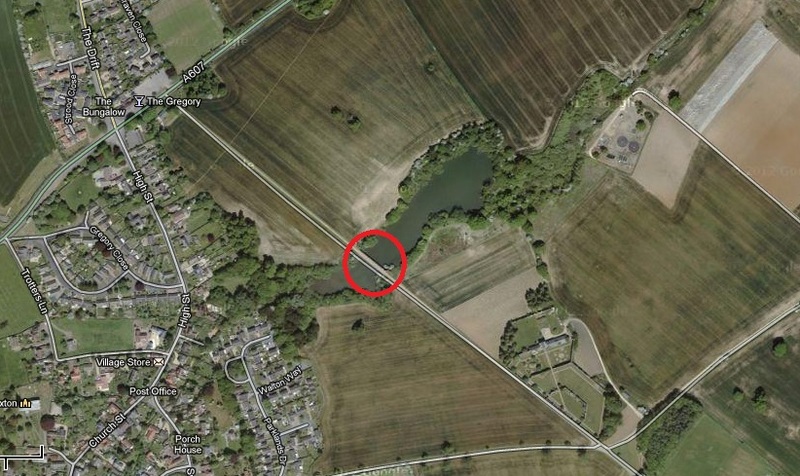 The lake can be accessed either by walking down the main drive (around the edge of the grand gates) and down towards the manor, or walking from the village of Harlaxton (see location map below). They can be a little shy and tend to stay away from the bridge but a pair of binoculars should reward you with a good view! For more information in goosanders, the RSPB website is always a good start!